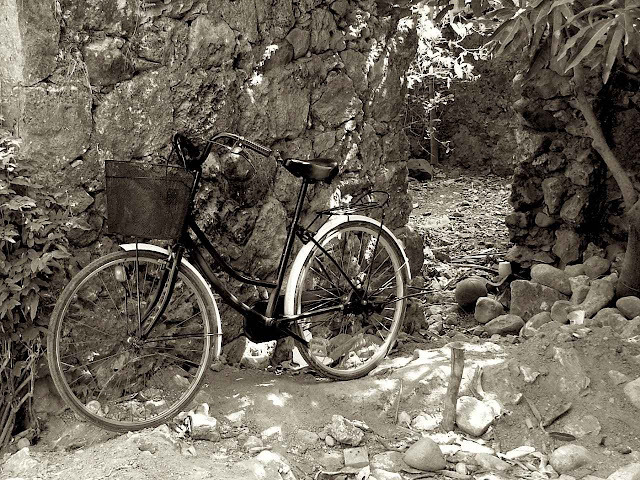 Parked "female" bike among old stone walls in Basco, Batanes (we're still mining our old pictures from our 2007 visit to our northernmost islands). It's as much at rest as the waters roil around the islands where China Sea and Pacific Ocean meet, and of which there is no indication in this "still life." but visit less often, it will serve mainly as a portal to my other sites on the Web. Provided here and on the next page are links to those sites. are what we have when we try to be poets. find that they still hold some surprises.